Well, been a couple of weeks since I posted anything. This doesn't mean I haven't been busy. I have recently been following up on my "Ethical Hacking" skills and Security training. I stumbled across this site, Hellbound Hackers, which has some interesting challenges. They allow you to earn points for the challenges, so its kind of cool. They have challenges in many areas. I have been playing with the "Web Based" challenge area where they have 29 challenges. Below are the answers.... I know...this is frowned upon. Many people believe one should only provide "hints" and let people flounder indefinitely.....But, seriously, to learn....sometimes it nice to have access to the answers when your stuck. I have provided the background detail then the actual answer. If you have stumbled on this via Google because your trying the challenges great...but be aware....... SPOILERS are below. I have made the font for the answers white so you have to highlight them to actually see the answer. Note: This is an "Ethical Hacker" site. So, ideally there is nothing malicious going on here and your machine won't get infected while browsing the forums and such. 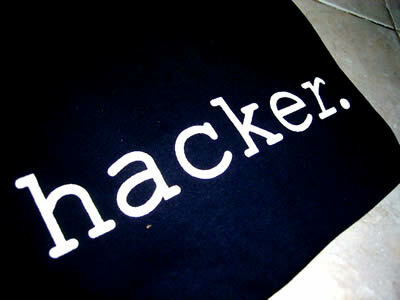 However, it is "hacker related" and the Internet is the wild west of the 2000's so use caution. I strongly encourage you to use a VM to go to sites like this. See my Virtualization Post on this. Basic login prompter. Nothing special here. It is the 1st Challenge. The Hint provided is: "Look at the source...."
This is a simple challenge as well. Just requires some basic knowledge of HTML. Now, we start to get a little more complex. This involves spoofing your UserAgent. You could also edit the Registry in Windows for IE....but why.... just use Firefox. Idea here is a simulation of a improperly configured login prompter that uses and htpasswd file. The file isn't found so you can see an error on the page. First idea...... a path fuzzing challenge. "ERROR: htpasswd.php file not found in basic4/" means something.. so fuzz the dir paths. Just a pain to figure out, not because it is hard...but the format of the answer is hard. the form is a login form AND search form. Now, the challenges start to get a bit more "real". This one requires both some Unix simple skills and some fuzzing. You will see the files that need to be deleted. Then, run the appropriate commands. This challenge requires some Binary math and knowledge of cookie manipulation. So, now just use the Firefox Web Developer plug-in to edit these values. And then fill in junk for the submit form and click go. http://en.wikibooks.org/wiki/PHP_Programming/Register_Globals. You can use this to perform an SQL Injection attack. This challenge is complete using a type of code injection attack. Null Metacharacter Injection attack. (). This challenge requires that your IP address be in a specific range. You need to use a "free proxy service" if the page doesn't work immediately. Thoughts Provided by Craig Poma. Awesome Inc. theme. Theme images by enot-poloskun. Powered by Blogger.